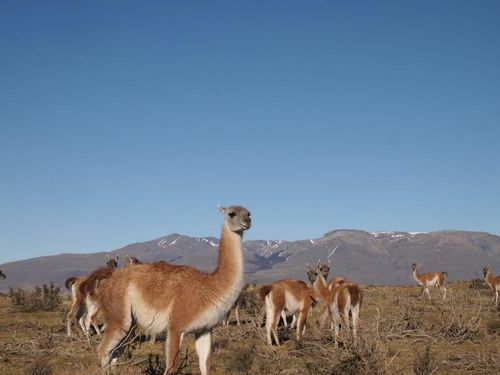 Sam from our marketing team has just returned from a two month sabbatical spent in Argentina, being the seventh largest country in the world there was a huge amount to see, but she’s tried to pick out the highlights of her amazing trip. Working for a travel company certainly has its perks; the chance to take a couple of months off to go and explore Argentina certainly being up there with the best. 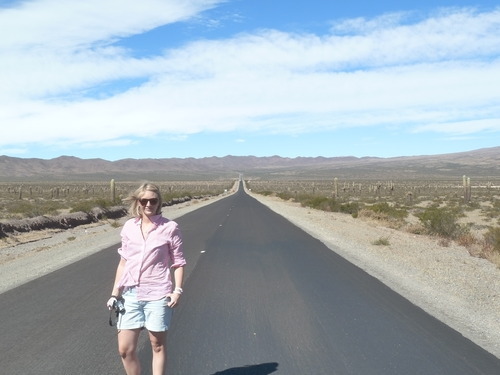 So back in March I cleared away my desk and set off to explore Argentina. My first month was spent living in what is know as ‘the Paris of South America’, Buenos Aires. In the early 1900’s wealthy Europeans crossed the Atlantic and settled in Buenos Aires creating a fabulous city of contrasts; European mansions line wide, tree lined boulevards in the exclusive Recoleta neighborhood, whereas in San Telmo, the City’s oldest and most atmospheric neighborhood (or barrio as they’re known in Argentina), cobbled streets lead to traditional markets filled with everything from traditional Gaucho belts, interesting artifacts and more alpaca products than you can shake a llamas tail at. Even though I was in BA for my first month to (try) and learn Spanish, I spent packed days exploring the city, everything from visiting Evita’s grave at the wonderfully gothic Recoleta Cemetery to wandering along the newly developed docklands, Puerto Madero and spotting the uber cool Portenos (locals) enjoying a drink in one of the many bars. 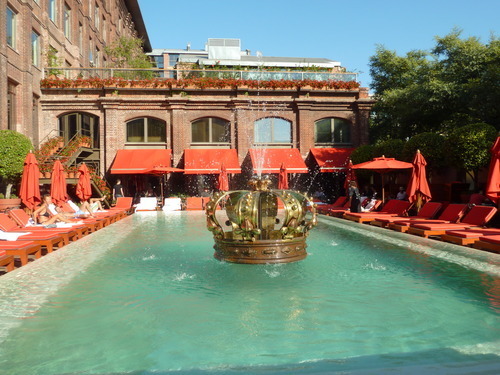 While in this area I even managed to sneak into surely the city’s most fashionable hotel the Faena Hotel and Universe for a quick poolside drink, complete with a swim in the fabulous pool featuring a huge gold crown. 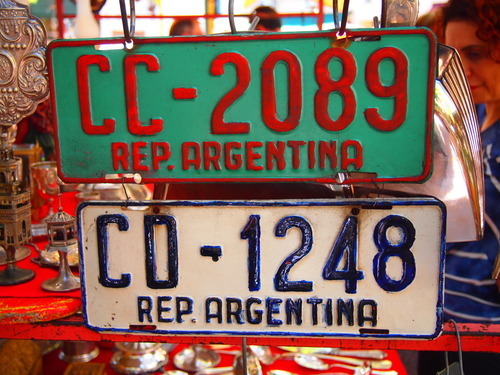 After a month of enjoying city life, it was time to take my shaky Spanish to some of Argentina’s highlights. 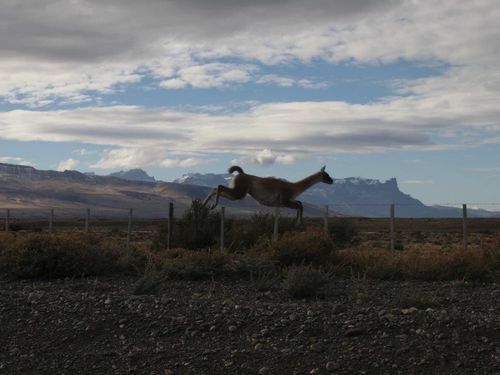 Firstly was a flight 2,000 miles south to the wilderness of Patagonia, truly one of the world’s last untouched wildernesses. An absolute must while in this part of Argentina is a visit to the Perito Moreno Glacier about an hour and half from Calafate where we were based for our first few nights. 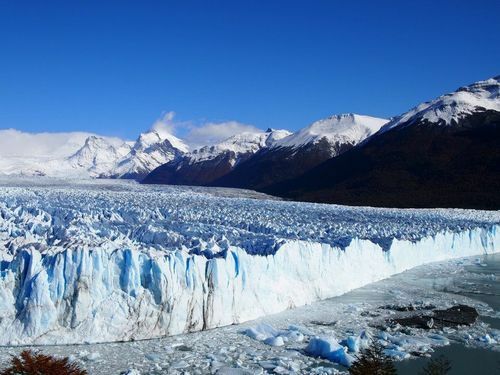 The glacier is the world’s only advancing and retreating glacier and it’s definitely worth stopping on your way into the National Park to see the Glacier from above and take in all 14 kilometers of its magnificent size. After a morning spent wandering around the glacier to see it from all angles, we took a boat trip right up to it where you can see into its milky blue crevices and if you’re lucky you might see a chunk of the ice fall off and roar into the waters below. Other highlights of my time in Patagonia were visits to El Chalten with the peaks of Mt Fitz Roy towering above this tiny town and an epic drive over the border into Chile to visit Torres Del Paine. Here you have the park to yourself as there are only a few hundred visitors a day, we saw hundreds more alpacas than we did people during our few days here! Next stop was Mendoza and the famous Argentinian wine lands on the border with Chile. Here we spent days wandering through vineyards and eating some amazing food, our lunch at Clos De Chacras was a real highlight (as well as the copious amounts of Malbec drunk). What many tourists to Mendoza might not have time to do is the trip up into the Andes from Mendoza but this is something I would totally recommend. The Andes above Mendoza are the second highest mountain range in the world and look so similar to the Himalayas that lots of Seven Years in Tibet was filmed here. We easily hired a car and spent a day exploring this fascinating area watching condors soaring above us with the backdrop of the snow-capped mountains behind, however it was when we reached the small town of Upsallata that the real adventure began. The road was closed up to Mt Aconcagua so off we went to hire snow chains (cadena’s in Spanish in case you’re wondering…) before setting off on the deserted road that led up into the mountains. Eventually we were stopped when we could go no further but we were treated to a stunning view when the clouds parted and we saw the top of the 6th highest peak in the world and South America’s highest mountain. For the last bit of my Argentinian adventure, it was time to head to the north of the country, firstly to Iguassu Falls for a few days and then on to the province of Salta, near to the Bolivian border. Iguassu is totally different to any other part of Argentina; here lush jungle gives way to the roaring falls which stretch for over a mile and half along both the Brazilian and Argentinian border. 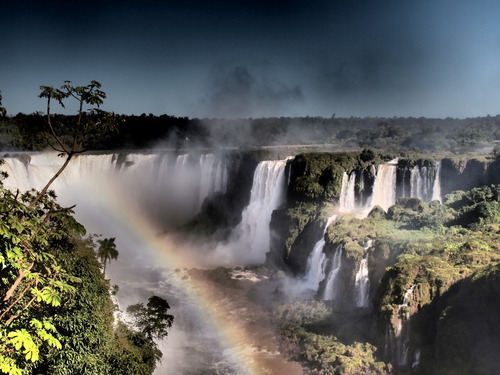 If you can it’s really worth both sides, Brazil gives you more of a panoramic view of the falls whereas in Argentina you can get so close you’ll be deafened by the roar as the water hits the pool of the Devil’s Throat (the main waterfall here) as well as drenched by the spray! 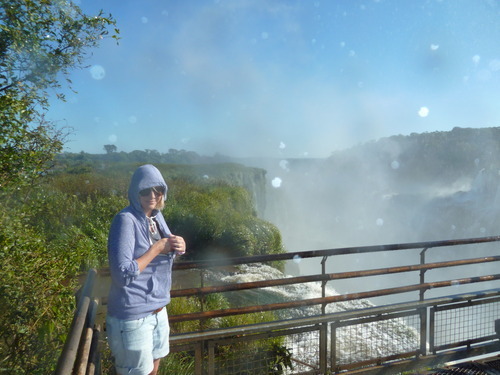 You only need a couple of days to experience Iguassu so it can easily be fitted in a shorter trip. 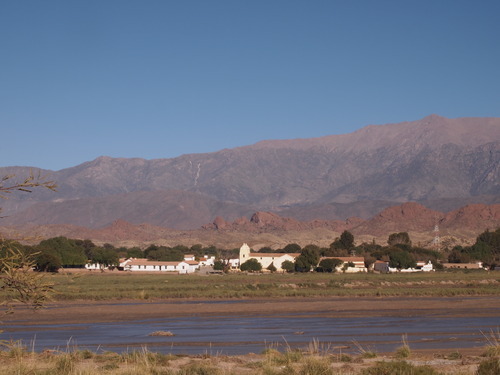 Our final stop in Argentina was the province of Salta in the far north of Argentina. After a wander around this beautiful city, with its stunning colonial buildings and orange tree lined Plaza it was on to the MAAM museum, which showcases Andean art and culture, with the focal point being the 3 mummies of Inca children that were found in the Andes a few years ago. Because of the freezing temperatures the 3 mummified bodies of these children that were sacrificed hundreds of years ago were perfectly preserved and although slightly apprehensive about seeing them, it was a fascinating experience and one I would highly recommend. A couple of days in Salta is enough to soak up the city’s atmosphere and next stop was a drive south to Cafayate and the other wine region of Argentina. 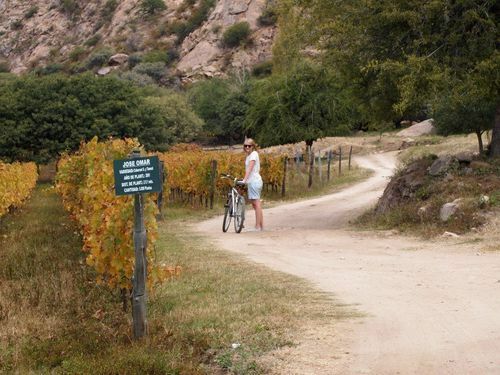 Some of the highest vineyards in the world are in and around the mountains here and there is no better way to explore them than by hiring a bicycle and spending an afternoon sampling the wines, with the classic Argentinian Torrontes wines really standing out. A must do whilst in this area is the drive from Cafayate back to Salta, we spent the night in the tiny town of Molinos with only a few hundred people, staying in the old Governor of Salta’s residence, the Hacienda de Molinos. 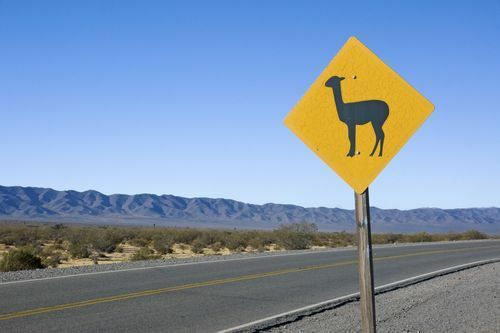 From Molinos, we carried on to Cachi, famous for its traditional weaving industry, before an epic drive through the deserted Calchaquí Valley, with its towering cactuses flanking either side of the road. Reaching nearly 4000 meters above sea level at the top, and with its winding roads and sharp corners this is quite a drive and not for the faint hearted! After 2 utterly fabulous months in Argentina, London and returning to work beckoned. It’s impossible to sum up all the amazing experiences I had in this fascinating country, which really can be described as a country of contrasts, definitely a trip of a lifetime!